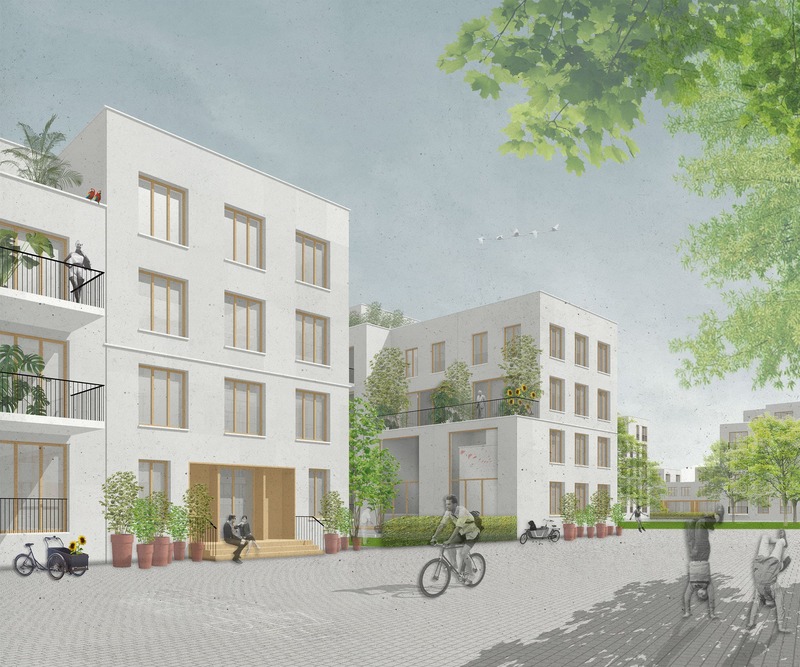 MLA+ together with Annabau (Landscape), Argus (Traffic) and DS-Plan (Energy) received a honourable mention for the Karlsruhe Neureut competition for the transformation of a 24 ha former agricultural land into a new housing/mixed use development for approximately 2.500 inhabitants, with related educational and retail facilities. 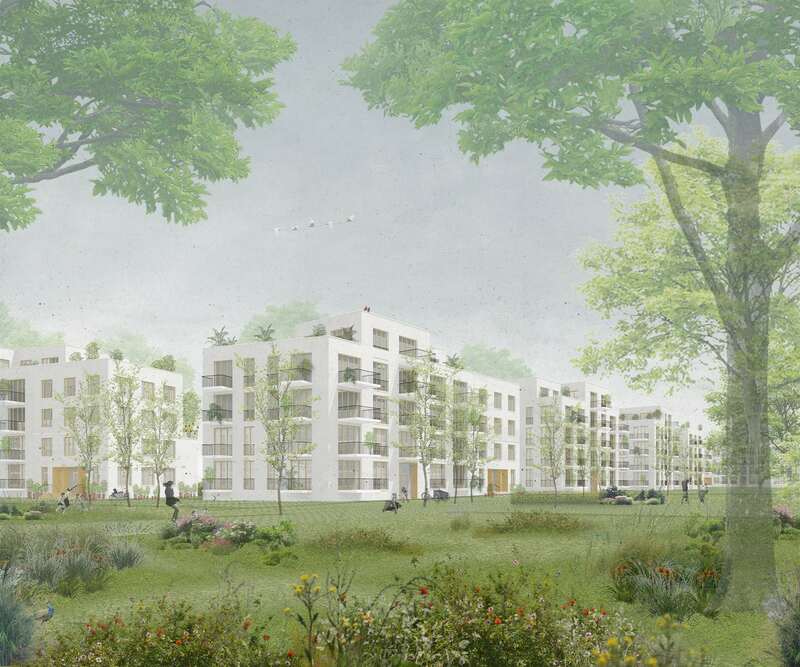 The competition site is located in the northwest of the centre of Karlsruhe and in close vicinity to two dominant green spaces: the meadowlands along the River Rhine in the West and the Hartwald forest in the East. 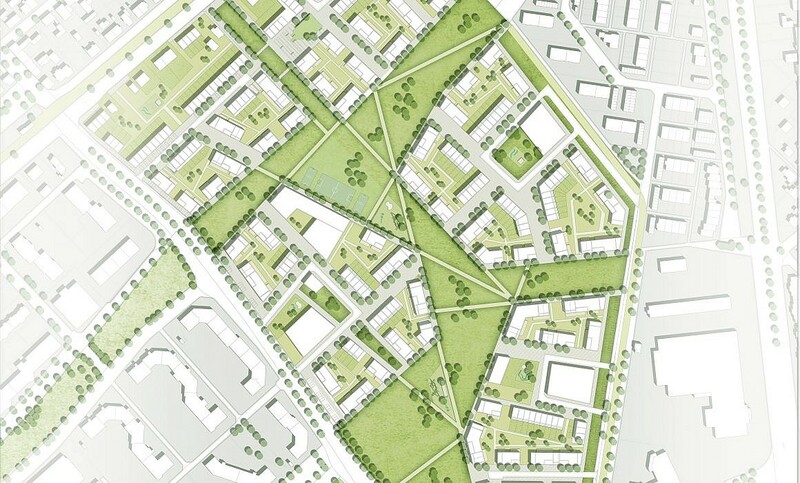 It is surrounded by existing housing areas of different scale and density and opens to the south to a vast green open space, where urban development is ruled out for the future. The spatial concept is developed out of the existing urban fabric: the adjacent neighbourhoods are extended into the site to form five development areas of similar size. 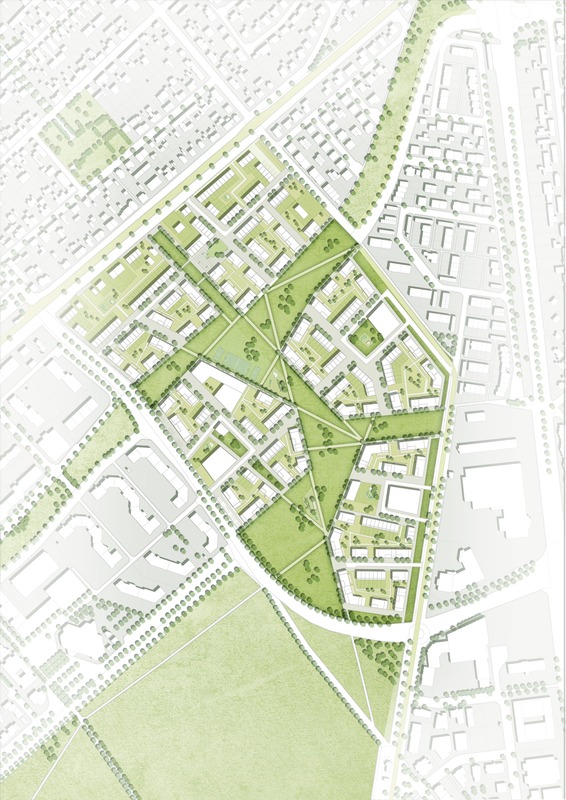 The main structural element is a large green centre which establishes numerous links to the existing web of public spaces and traffic infrastructure. By opening up to the south, the greenery is drawn into and dispersed throughout the site, forming park-edge situations for a large share of the adjacent buildings. The highest building density is concentrated along the park edges to give a maximum number of dwellings direct exposure to greenery. Towards the inside of the development areas lower typologies are introduced benefitting from private gardens and a cosier, more intimate atmosphere. The jury pointed out that the clear structure of the plan of MLA+ offers good development conditions. Also, the variety in greenery adds to the quality of the site. This award is a positive sign that we are headed in the right direction.